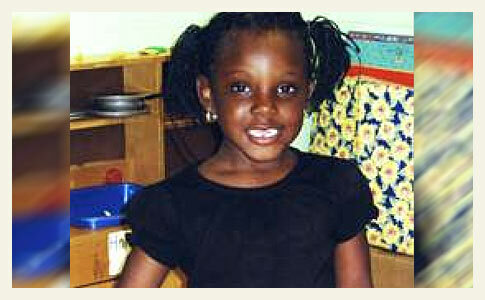 Anastasia Bingham, 5-years old, was killed by a pit bull while playing in the snow. 06/26/10 UPDATE: Officials report that a Hinds County Grand Jury reached no conclusion on assigning guilt in the February mauling death of Anastasia Bingham. DNA testing on a pit bull discovered at the scene showed that the dog did not attack the girl. DNA taken of a dead pit bull found near the scene proved inconclusive. Authorities say that the little girl's family is being uncooperative and that it may have been a relative's pit bull that was involved in the attack. "Hinds County investigators said they received confidential tips that stated that there were three other pit bulls, owned by the child's relatives, that were killed and dumped in a wooded area off Saw Mill Road in rural Hinds County. "They have not been as cooperative as they could have been and given as much information as they could have given," said Hinds County Sheriff Malcolm McMillin. Deputies also received anonymous reports of dog fighting in the area." Though Anastasia's senseless death may go unpunished, a new animal ordinance was adopted on behalf of her death and may prevent a future serious or fatal pit bull mauling. The new Hinds County ordinance requires owners of pit bulls and wolf hybrids to have a permit, keep the animal enclosed in a 10 x 10-foot pen with 6-foot sides, a roof cover and cement flooring to keep the animal from digging out. The owners are also required to carry $100,000 in liability insurance. Initial tests show that the quarantined pit bull is the lone killer of Anastasia Bingham. Sheriff Malcolm McMillin said, "The owner of the dog could possibly be charged with manslaughter; we're working that out now." The pit bull was among several kept on a property across the street from the little girl's home. Another pit bull was also found dead near the scene. Officials do not know how that dog died. The test conducted was for the presence of human blood, not a DNA test. "What we were looking for in the tests was the presence of human blood in either of the dogs," he said. "We did get confirmation (Wednesday) that there was human blood in the live dog." Investigators had taken swabs from the dog's mouth over the weekend. The owner of the pit bull that killed Anastasia is reportedly the grandson of the property owner where several pit bulls were being stored. Anastasia's family members have given authorities the name of the individual. "We know we're going to catch (him)," Sheriff Malcolm McMillin said, "It's just a matter of time." Hinds County District Attorney Robert Shuler Smith said the dog owner could face a depraved-heart murder charge or culpable negligence in connection to her death. The dog owner may face animal cruelty charges as well. There are indications that the pit bull suspected in the attack was used for the purposes of dogfighting. That dog is currently being held at the Mississippi Animal Rescue League. Other pit bulls from the property -- seen in early photos and videos -- were quickly removed by unknown persons and their whereabouts now is unknown. Yet another indication that the dogs were being kept and bred for the purposes of dogfighting. The pit bull that authorities believe killed Anastasia last Friday -- two days before her 6th Birthday -- will likely be euthanized this week. In response to the child's brutal mauling death, Hinds County Supervisor George Smith said he would propose banning pit bulls in the county. In 2008, in the same county, 3-year old Tony Evans Jr. was also killed by a a neighbor's pit bull. Smith said that since Evans' death, there has been discussion of banning pit bulls, but nothing has been done. When asked by a reporter, "What do you say to that person, 'Well, I have a pit bull and it's never hurt anybody -- and I obey the law.'" Smith responded: "I would say to them, I understand that. These pit bulls have never done anything that we know of and look what happened." (Kudos to Supervisor George Smith!) This is a primary reason why jurisdictions regulate these dogs. The "unpredictability" of a pit bull and the inability for the public to know which pit bull is safe or not. In a disturbingly accurate video that shows the deadly crime scene, police officers, family members and the remaining chained pit bulls on the adjacent property, one can begin to imagine the horror this young child faced. On a morning when Anastasia should have been in school, which was canceled due to snow, she instead suffered the most horrific manner of death conceivable to man. 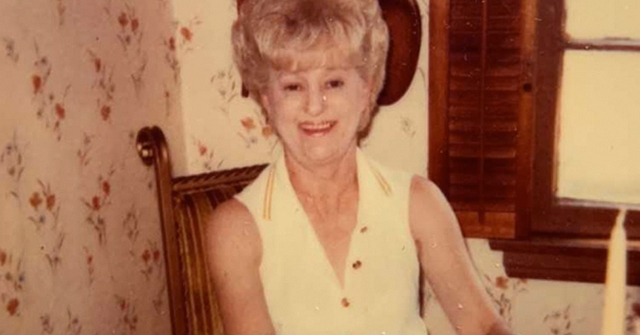 She was attacked, bitten, and ripped apart1 by the powerful jaws of a pit bull. Terry, MS - In a developing story, another child has been mauled to death by a pit bull. Sheriff's deputies say 5-year old Anastasia Bingham walked out of the mobile home she lived in at 1911 Green Drive around 7:30am to go to a friend's house across the street. The pit bull attacked her between the two homes. It's believed the dog was kept with some other pit bulls in a small patch of woods behind a nearby house. The pit bulls do not belong to the little girl's family, police said. 1A separate report by the Clarion-Ledger indicates that the pit bull ripped out Anastasia's neck. 2The victim's name was also spelled as "Anataisa Bingham" in news reports. 11/09/09: 2009 Fatality: 16-Month Old Killed by Pit Bull of Babysitter's "Boyfriend"
What a beautiful little girl, this is just horrible. There was another Piticide in late 2004 also! December 14, 2004, SHORELINE PARK. MISSISSIPPI – A month-old girl was killed by a pit bull mix as she was sleeping next to her mother Sunday night. Kamryn Billingsley died of head trauma before emergency personnel arrived at the 21st Avenue home where the mother and baby had spent the night with a friend, said Hancock County officials. The infant was 34 days old. 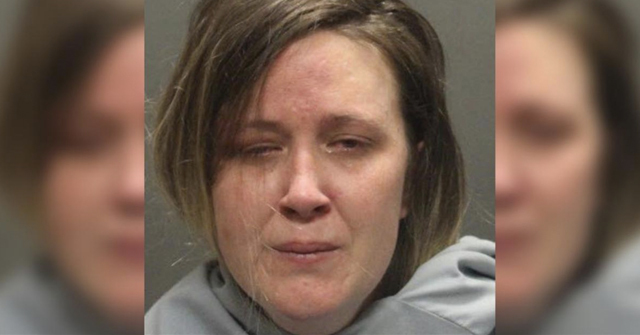 Samantha Billingsley and her baby went to sleep Sunday night on a mattress and boxsprings in a spare bedroom, said Sheriff Steve Garber. "The mother woke up around 1 a.m. and realized the infant was not in the bed," Garber said. "The dog dragged the baby into the living room and bit the infant numerous times." "The mother turned on the light, followed a trail of blood through the hall to the living room and that's where she found her child," Garber said. The mother called 911. That makes 5 for 5. 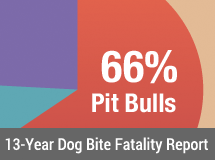 Pit bulls are responsible for 5 of the past 5 fatal attacks in Mississippi. TERRY, Miss., Feb. 12 (UPI) — A 5-year-old girl was killed Friday in an attack by a neighborhood pit bull in Terry, Miss., her grandmother says. Mable Bingham said the body of her granddaughter, Anataisa, was found lying in a ditch Friday after the attack by the dog, which the Hinds County Sheriff's Department took into custody, The Jackson (Miss.) Clarion-Ledger reported. PREVENT THE DEED, REGULATE THE BREED! Dog fighting set up I would wager. All chained out of sight. Why didn't the neighborhood turn the pit bull owners in? Why not get these dogs out of there? Dog fighters are dangerous criminals. Often people don't report them out of fear of retaliation and retribution. I can tell you first hand that police and sheriff departments rarely take complaints like that seriously until something horrible happens, and then it's too late. They view it as a "neighbor dispute" and think they're too good to get involved, even though it's what they're paid to do. Don't be too quick to blame neighbors for not turning in somebody who would just as soon kill them as look at them, burn down their houses, etc. when more often than not, the lazy cops won't do a thing. Yet another beautiful child taken too soon and senseless tragedy. Children deserve to be safe in their own neighborhoods. The law goes out of its way to protect kids from human child predators and yet gives more rights to dogs than to people. It's backwards and disgusting. When I was growing up in the South, there were unwritten rules about pit bulls. First of all, they were NOT pets. In fact, I never saw a pit until I was in my early 20's. They were chained in the woods behind the fighter's house. When they were brought in, the fighter would tell his neighbors so they could take precautions with their kids and their animals. If a pit broke loose then neighbors would shoot the dog and the fighter would accept it. Fighters tried to stay on the good side of their neighbors otherwise their pits would end up shot. Kinda makes sense if you think about it. I remember the first time I encountered a pit outside of that, I freaked because of what I knew pits were. The owner assured me that the fight had been bred out of the pits in California. Yeah, right. Well, DUH!!!!!! Like an ‘agenda’ to stop pit bulls from attacking people, attacking and killing pets, and KILLING CHILDREN is a bad thing? God! I’m apoplectic! The persistent stupidity of these f-ing morons is unbearable!!! I feel your pain, Super Pissed! What a beautiful little child, so innocent. How her family must be hurting! And to Anon, I live in a nice neighborhood, a small one, and there are three families that I know of with pits. These are middle class families, and they are definitely not drug dealers or dog-fighters. They believe the lies. They think they are doing good by giving pits a loving home. I think a large part of the escalation in attacks that we are seeing is because the pit breeding and fighting and rescue community, and those ever-popular rescue angels, have been so successful at their propaganda: that pits are just misunderstood wigglebutts, maligned by a vast media conspiracy, and that they make wonderful pets. Thus, a proliferation of pits within the community kept as pets. P.S. I avoid their houses on walks, and I will not allow my children to play at their houses. Thus, two of the families no longer allow their children to play with mine, because they consider me as brainwashed and a stereotyper. I have lived here for almost 20 years, and pits in the neighborhood is new. They have all come here in the past year. We have a very visible rescue in the area, and the spin they put on their website about these beasts is nothing less than psychotic! They give out dogs obviously used for fighting, but always claim they were bait dogs. The rescues have been brainwashed by the breeders and fighters, and thus the public is brainwashed by the rescues. "We have a very visible rescue in the area, and the spin they put on their website about these beasts is nothing less than psychotic! They give out dogs obviously used for fighting, but always claim they were bait dogs." I believe that something that is also going on here is that too many of these pit bull rescues ARE NOT "RESCUES" AT ALL! They are SELLING pit bulls! They are taking unwanted stock from the fighter breeders, and falsely claiming the dogs are "rescued" to get sympathy and donations. There are many "rescuers" who directly write on forums and boards about regularly taking pit bulls from pit bull breeders and "adopting them out." That isn't adoption or charity, that is SELLING DOGS! Pit bulls are also a fad, and the fake "rescues" are making money selling fad dogs. They are better able to get the middle-class to give them money and buy one if a fake story about "rescue" and "adoption" is created, instead of stating the honest fact that they are SELLING DOGS bred by pit bull fighting dog breeders. Many of these fake "rescuers" operate in shady ways, through email or cellphone only, although some have gotten the 501c3 papers to better provide cover and let them hide income from taxation. The government doesn't check out 501c3s! They just check the paperwork, not what the supposed "charity" is actually doing. We have a whole new population of dog dealers that call themselves "pit bull rescuers" and they are making a nice amount of money supporting themselves selling pit bulls with a fake charity front, and providing additional side business for the pit bull breeders and dog fighters. Some of them even get a clueless celebrity to give them cash. Pit bull "rescue" is a BUSINESS, and the tax fraud in this business is also enormous. I agree with FoolMeOnce – too many families are getting these dogs after being lied to. They think they are doing a good thing. Some rescuers are bleeding hearts, some are out to make a profit, but the fact remains that both types are not telling the truth and adopters are unprepared for the "pet" they bring home to a nice neighborhood. I fear the only thing that will stop this is untold amounts of people and pets getting hurt and killed in the process of these owners learning the hard way. More celebrities with pit issues will also help. Eventually, it will become too much, and no one will believe the lies anymore. I hate to say it, but the more pits there are and the more opular they seem, the faster it will all come crashing down. Basically, its got to get worse before it gets better. The pit bull suspected of mauling to death a 5-year-old Terry girl has scars indicating it was involved in dogfighting, the director of the Mississippi Animal Rescue League said Monday. "A piece of his ear is torn," Deborah Boswell said. "He has scars on his front legs. The scars are consistent with dogs that have been fought." You knew this was coming; this was a fighting pit bull to be sure. A human-aggressive fighting pit bull to be exact. I would think that almost anyone who saw that set up, pits housed in ramshackle houses hidden in the woods, would know it was a fighting set up. That's how dog fighters operate in the south. Let's hope they were premature in saying no charges could be brought against the pit owner, and perhaps they can bust an entire ring. I hate that a child lost her life to this situation, but if a bust and a pit ban come out of it, her death won't be in vain and will save countless others. The owners of the dog in this case could face a "depraved heart murder" charge, or culpable negligence charge. Depraved-heart murder is defined as causing death by an act so reckless that it shows lack of regard for human life. Law enforcement agencies need to press charges more often in these dog attack cases. Has anyone ever noticed the enormous disparity in how individual cities and towns deal with serious dog attacks? In some areas, a serious dog bite can result in criminal charges being filed…in other places, a dog can kill a person and the dog owner walks away. We need to put public pressure on these officials to prosecute owners of aggressive dogs to the fullest possible extent. Every owner of a pit bull that kills an innocent person should be charged with depraved heart murder, as they cannot claim to NOT know what these dogs are capable of. I am willing to bet that this County Supervisor has received 1,500 emails, 250 faxes, and 250 letters from the pro-pit bull lobby. How long will it take before he is influenced by this group? I bet it has already happened. Congratulations Best Friends, Ledy Van Kavage, CHAKO, etc. I hope the family goes after the property owner, as he clearly has assets. He had to know the dogs were being kept on his property and what they were being kept for. He has probably benefited from the money brought in from the fighting ring. I hope the cops go after him, too, although I doubt the dog fighting grandson will care that his grandfather is in jail because of him. Pit owners turn on their own family members as often as their frankenmaulers turn on them, if not more. I read the article and I'm concerned that they aren't doing DNA on the human blood they found in the dog. The defense is going to claim it was never really proven that this was the dog that killed Anastasia. Without DNA confirmation, I'm concerned the owner will walk away. It is difficult to say what is "actually" going on regarding the DNA, the dead dog, the missing dog owner, possible manslaughter charges and possible dogfighting charges. This case is complex indeed. Yet I have very little hope — even with DNA tests — that this dog owner will be charged with anything more than a loose dog fine. It isn't that authorities do not wish to file more serious charges, its that Mississippi law simply prevents them from doing so. 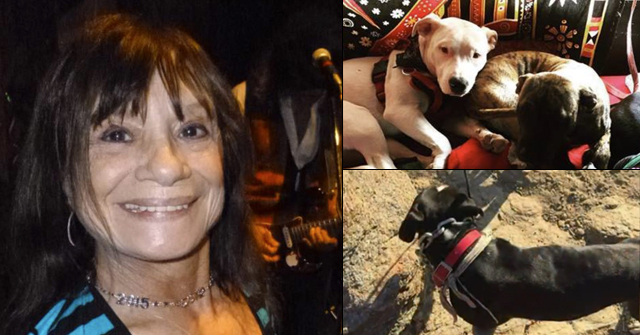 As in many other states, it is the death of a pit bull attack victim that brings about NEW STATE LAW designed to penalize owners of vicious dogs. Gramps has criminal liability here as the harborer of these animal also. UPDATE: No Arrests Made In Pit Bull Death: Police Analyzing DNA To Determine Dog Responsible, dog owner named as Deonte Stevens. March 10, 2010 – An investigation is under way into how a 5-year-old was killed by a pit bull. Hinds County investigators said Anastasia Bingham was attacked and killed near her home on Feb. 12. Police said a dog that was possibly involved is being held at the Mississippi Animal Rescue League for the time being. Officers said they confiscated two dogs at the time of the incident. In February they said tests on one dog proved it attacked Bingham. Now they say that may not be the case. One was put to sleep Tuesday for other health issues. Until they are sure, Sheriff's officials said they can't charge the dog's owner. So was it pit bull #1 or pit bull #2 owned by the same scumbag? Does it really have to be this complicated? Hinds County officials: GET YOUR SH%T TOGETHER! Stubby – What?? They can't charge the dog's owner until they're sure??? First they said they had the right dog and now they're 'backstepping' and saying they aren't sure?? What a bunch of spineless cowards!! A precious child is dead due to the incompetent owner and now they want to compound the grief by not arresting the owner because they're "not sure!" I have a lot more to say on this matter, but every time I think of our incompetent "leadership(?)" I feel like puking! Maybe that child's needless death means nothing to them, but it DOES to me. maillarrym6 – How INSANE is this? Does the commissioner have ANY KIDS OR GRAND CHILDREN? Of COURSE it makes sense to EITHER BAND these DANGEROUS WEAPONS (we ban other things–especially when they represent a unique and special harm to our children; i.e., put a BAN on places child molesters can't go or live; we ban particular TYPES of weapons and HAND GUNS all over the country and THAT–to an arguable degree is guaranteed by the U.S. Constitution. I've NEVER READ where the RIGHT TO OWN A PIT BULL is a Constitutional Right! And this little girl is DEAD (and others, no doubt will follow suit) because people like our Commissioner has NO guts. EITHER BAN THEM (like you do AK-47, machine guns, etc., exotic animals, etc.) OR MAKE THE PENALTIES, FINES AND "SPECIAL TAXES" SO HIGH, AS TO GIVE SOME KIND OF COMPENSATION TO THE "VICTIMS" OF THESE "ATTACK DOGS"! I'll bet the dog's owner didn't even attend the little girls funeral. But then again, none of the city council members or commissioners probably went either. WHO DO THEY REPRESEN on THIS SIDE OF THE TRACK??? HINDS COUNTY, MS (WLBT) – The Hinds County Sheriff's Department is stepping into new territory as it plans to pursue manslaughter charges against the person who owned a pit bull that killed a child. At least they finally passed something! It needs more bite but it's a start!